We had a great time presenting a poster about LeadMD, a future certified version of Lead-DBS at the 20th International Congress of Parkinson’s Disease and Movement Disorders in Berlin on Monday. Thank you all for your helpful comments and suggestions regarding future work. 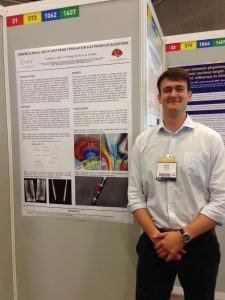 The poster can be found here and the picture below show’s Philip Plettig, who is working on a connectivity based sub-structure segmentation algorithm, in front of the poster. We are happy to announce that the core functionalities of Lead-DBS have been ported to support non-human primate (macaque) MRI and CT data. 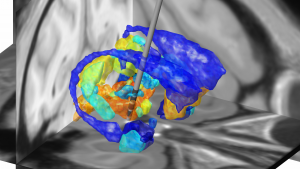 Furthermore, the detailed INIA19 macaque atlas has been ported into MNI space and is available in preinstalled form within the Lead-DBS macaque toolbox. Please do not hesitate to contact us in case of questions or suggestions.